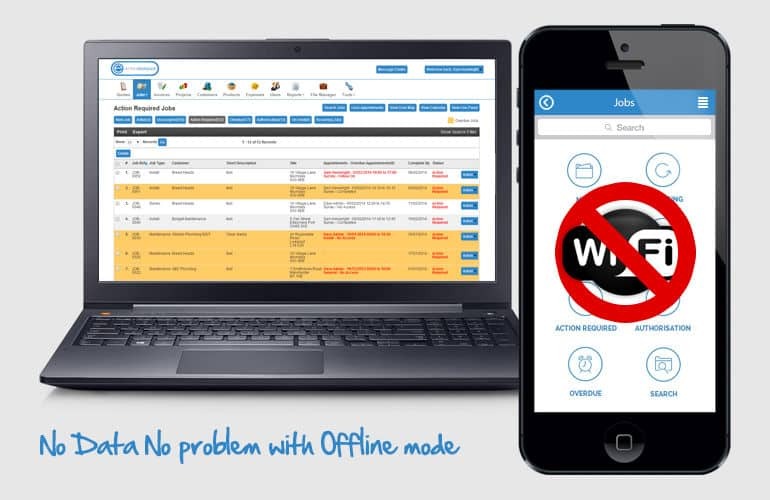 Eworks Manager supports full offline mode, so wherever you are working you can complete your jobs without any data connection. Even in the most remote, places you can still log everything just as if you were online. The technology will store everything locally on your phone and as soon as your phone picks up a connection all data, images, and information will be synced to the central system updating your jobs progress and completion! All job sheets with signatures will not be lost and will be transferred to the admin system automatically on a reconnection. With this offline mobile solution, we are helping all types of businesses who have their operatives in places with little or no connection stay in full control of their jobs. If you would like to speak to one of our team about the offline support we offer, contact us today.